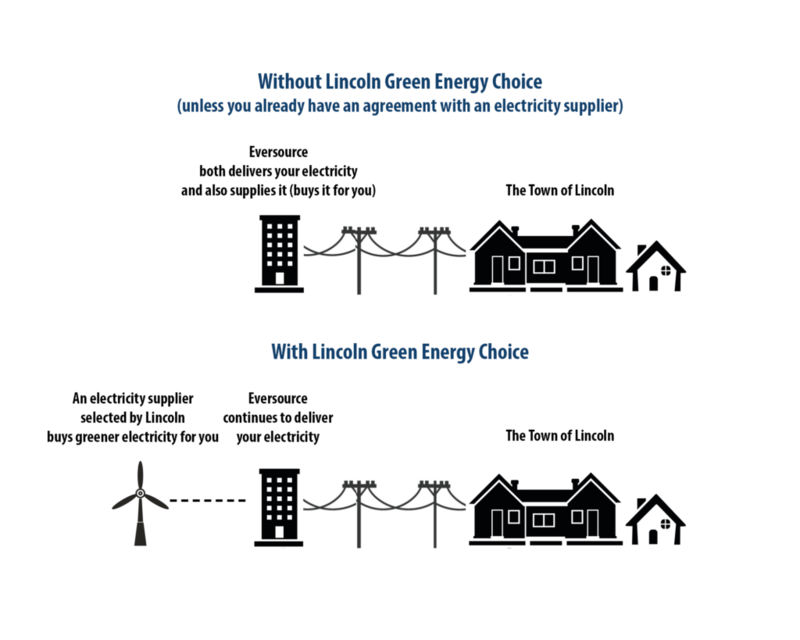 With the Lincoln Green Energy Choice program, Eversouce will remain your electric utility. They will continue to deliver electricity to you, maintain the poles and wires, and address power outages. But they will no longer be your electricity supplier. Instead, the Town of Lincoln will select a supplier, and the price that the Town negotiates will be used to calculate the Supply portion of your Eversource electricity bill. Additionally, your electricity will include more renewable energy than Eversource currently supplies. All Eversource Basic Service customers will be automatically enrolled into the Lincoln Green Energy Choice program, unless they choose to opt out.